NFL quarterback Robert Griffin III, speaking about Christianity, once said that “There comes a time when you can no longer cling to your parents’ coattails and you have to chose to make it your faith.” In Firsthand: Ditching Secondhand Religion for a Faith of Your Own Ryan and Josh Shook tackle the issue of transforming the secondhand faith that many American Christians grow up with– their parents’ faith– into a vibrant firsthand faith of their own. 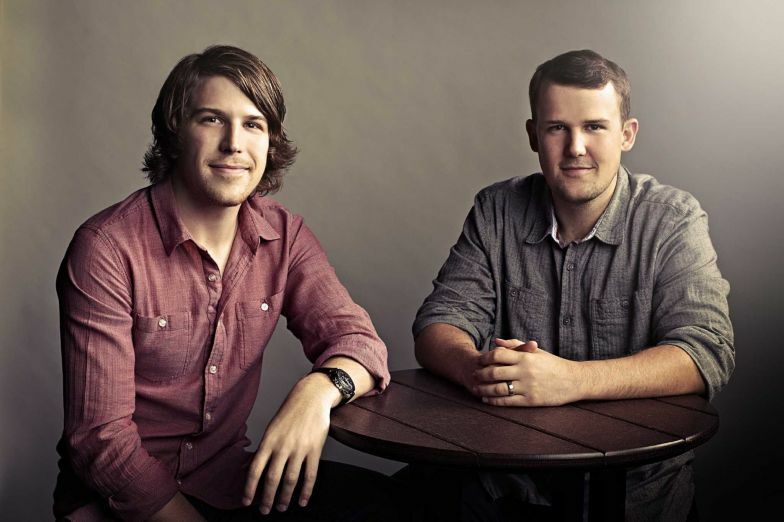 Ryan and Josh grew up as preacher’s kids, got to a point where they were tired of Christianity and set out on their own, only to later realize that they needed an authentic relationship with God– not merely secondhand religion that had grown up with. 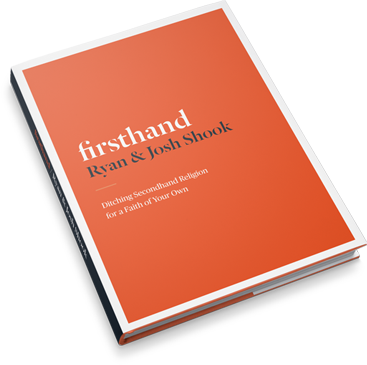 In Firsthand, Ryan and Josh share their experiences and the lessons they learned about growing from secondhand religion into their own firsthand experience of faith. First explaining why firsthand faith matters, the Shooks note the importance of asking questions about the faith that people have grown up in, noting that if something is factually true, it can (and will) stand up to scrutiny. Ryan and Josh also note the importance of relational honesty in thinking about and transforming one’s faith. They rightfully discuss that finding firsthand faith is not easy, nor does it necessarily mean things will be comfortable. If I were to find one weakness in this book, I would suggest that Firsthand deal more with the potential negative implications of trying to transform one’s faith. A sad truth about American Christianity is that not every Christian community welcomes the type of questioning, searching, and transformation that the Shook’s advocate in this book. Further resources and ideas for young adults in those types of situations would be an excellent addition to this book. A facet of this book that I found extremely helpful was the end of each chapter, where various quotes and stories from real people expounded about the topic of the chapter and where insightful discussion questions and sources for application were located. This section not only made the contents of the book that more real, sharing real-life accounts of people, but also allowed readers beyond a merely intellectual or personal interaction with the book. Perhaps the best part of this book is its accompanying website, www.firsthandbook.com, which provides additional accounts, discussion forums, and resources for those interacting with the book. These resources made this book an excellent resource for small groups as well as the student or young adult who is working through questions about their faith. While not an apologetic work in the strictest sense, this book serves as an excellent tool for those who have grown up within Christianity and are questioning their faith or moving into a time of transition. The overarching point of Firsthand reflects the need of young Christians everywhere to not simply accept the faith that they’ve grown up around, but to ask tough questions and make it their own, something that everyone who is called to follow Christ must do at some point. I highly recommend this book to those asking questions about their faith, seeking transformation from secondhand to firsthand faith, and to youth ministers and leaders in need of honest and thought-provoking small groups materials.